Seriously, though, having worked with some fantastic Project Managers throughout my career in content marketing and technology, I now know their importance to, really, all content marketing projects – large or small. This topic has become top of mind after a few calls this year where people asked me if our editorial planning software requires a Project Manager to be run. The answer is that the software itself doesn’t necessarily, but content projects themselves definitely need one. There are more stakeholders than ever. The channels for distribution continue to change and increase. It’s easy to fall behind or completely stop publication schedules. It’s easy to forget about best practices and content strategies when we don’t keep them top of mind. 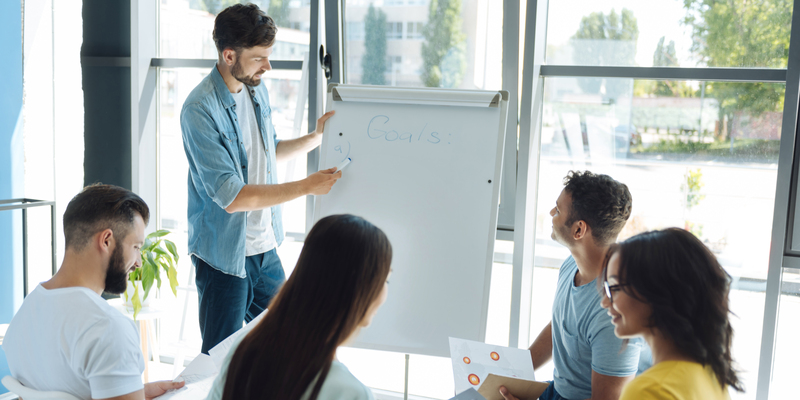 And while we don’t want to see Project Managers as the latest shiny object, the silver bullet, or whatever buzzword comes to mind, they can help the rest of the team stay on track and move forward in a coordinated manner. Now, they can help the team, but don’t expect them to do it alone. Teams stop publishing completely (this can be for a variety of reasons). Teams create bottlenecks in the content creation process (this can even end up in the above category). Teams create ‘blah’ content (blog posts that aren’t very unique, that don’t offer unique perspectives – that sort of thing). Project Managers typically don’t create the rockstar-type of content that can be used publicly but they can keep the content creators and strategists on track so that the right discussions are being held. Certainly, there are tools and strategies that can be used to keep us on track as well. For example, I block off time every Friday to write for the ScribbleLive Blog. But if I didn’t have a Project Manager remind me of the importance of getting the article done in time, I might push it off. Being able to quickly discuss if the content is aligned with the correct goals. Being able to know and understand the target audience. Giving the editors a chance to edit. Allowing the design team to actually create good looking and relevant visual assets. Giving the web producers a chance to place the content on the website. Ensuring distribution strategies have a chance to be aligned because we didn’t have time to talk about them! A Project Manager can help us outline the timeline and, more importantly, help us stick to it. I remember the days when I didn’t have Project Managers (or technology solutions). The content marketing team members (we didn’t really have ‘Project Manager’ titles) placed post-it notes on a whiteboard with dates scribbled on them. High tech, I know! Ugh. And since we were under a time crunch, which was the reason we used the post-its to begin with, the team would briefly huddle here and there to look at the whiteboard and made sure we were on track. What are the right characteristics of a content project Project Manager? 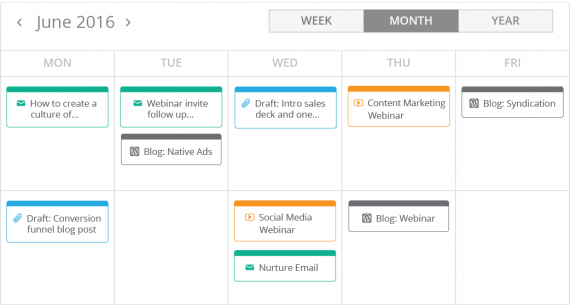 Advanced understanding of content creation timelines and workloads. Confidence in meetings with different levels of stakeholders. (My webinar on editorial planning talked about good content meetings. Click here to watch it. Highly organized and realistic with expectations. Content work gets done when we have a good strategy, great content creators, and Project Managers who run processes that are necessary. In larger teams, I would highly recommend a dedicated Project Manager. In smaller teams, it might be possible to create a combined role such as a Content Marketing Strategist/Project Manager title (note that the more slashes we add to jobs, the harder it gets to be good). Good content teams embrace their Project Managers and the value they bring. Ultimately, they can help us get, and stay, on track to create better content! Have questions about your content strategy? Schedule a free session with our Global Content Marketing Expert.